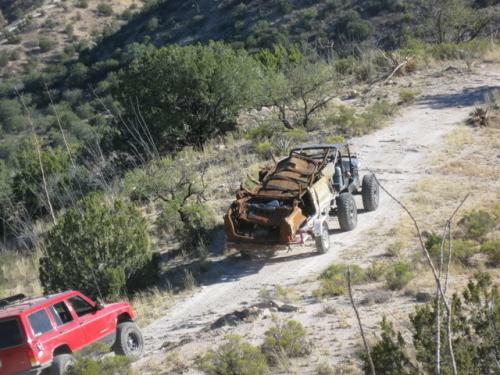 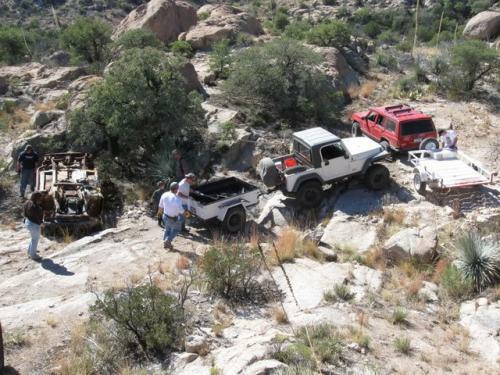 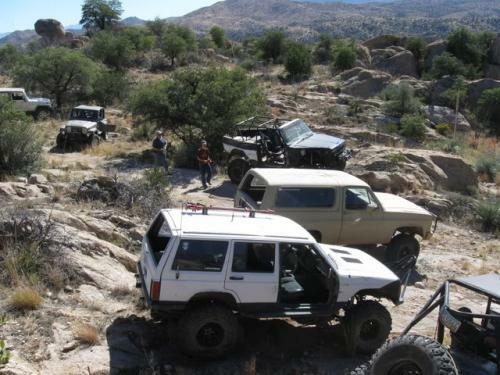 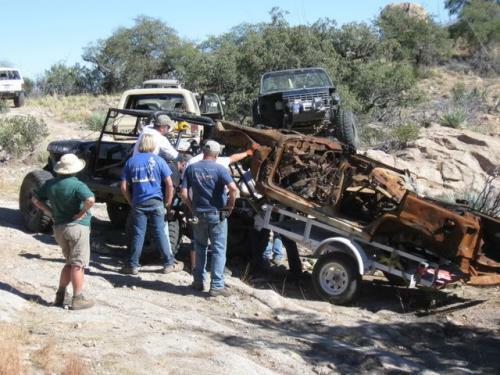 TOR and Rocking AZ teamed together to recover a burnt grand cherokee on the alamo springs trail. 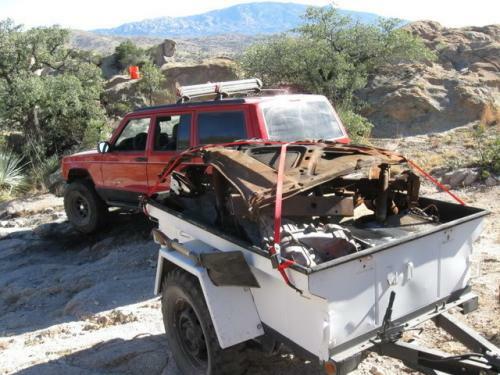 The vehicle had been there a number of years and was not being removed by the Forest Service due to the remoteness of the area. 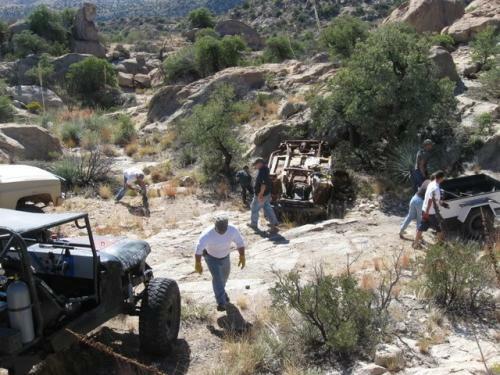 After a few hours of work the enitre wreck was recovered and much of the debree cleaned from the trail.